HELP! Where's my WeChat Wallet? You are at:Home»Life»Family»Money»WeChat How To: HELP! Where’s my WeChat Wallet? Quite a few people from the community have reached out to us, asking for a WeChat Wallet guide. At first, I was a little puzzled as to why such a guide would be necessary, but I was reminded that I have had my WeChat ID for years now and it is set up differently from the newer versions. Apparently you have different functions if you registered for WeChat later, and if you have an international version of WeChat, especially attached to a foreign phone number (rather than a local one, or in my case, no number at all). To test the theory, I have borrowed a relative’s (much newer) WeChat and decided I’d use her WeChat to set up WeChat wallet. Only, I discovered that she didn’t even have WeChat Wallet under “Me”! After doing some research, I have concluded that this is a relatively common problem with foreigners who use a non-Chinese version of WeChat and don’t have it connected to a local number. So, I followed the guides on the internet and I can attest that changing the language to Chinese, exiting the app, and re-logging in did not work. Note: I even tried changing it to different versions of Chinese and it still didn’t work. Step 1: Open a red envelope in a group chat, or request a friend to send you Lucky Money. It can be as little as RMB 0.01, but I accidentally sent ten cents. Step 2. Press “Red packet transferred to Wallet” to view your total balance. Step 4: Press “Wallet” to see all the wallet functions. The wallet should stay in your menu from now on and will not disappear. 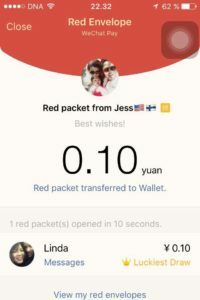 Step 5: Now you can use your existing balance by having friends transfer money to you, or by opening Lucky Red Envelopes. Actually, for the longest time I didn’t add any cards to my WeChat wallet, but simply relied on my husband transferring funds to my WeChat when I needed it. 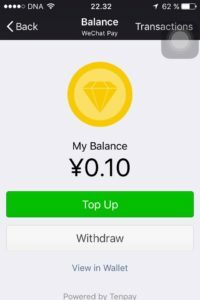 I have also received payments via WeChat, and whenever friends and I went out to dinner, I’d pay cash and have them transfer their share to me so that I’d have some funds in my wallet. However, a few months ago, I finally caved in and attached a bank card. 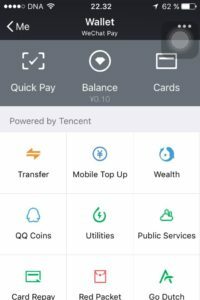 My next post will be a step by step guide on how you can also attach a Chinese bank card to your WeChat wallet! Hi, I have a question you might know, my iPhone got updated at night and now I cant see the “transfer” tab anymore . instead of 9 tabs, I have 8. Try uninstalling and re-installing wechat? Maybe your iPhone update downgraded the wechat version or wiped your verification info. Sorry – we’re not tech experts! WeChat has a help desk, by the way, if you want to check their suggestions first. 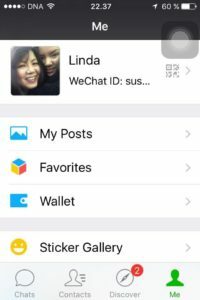 You need to attach a bank account or passport to your WeChat account. Worked! As you said it would. Only thing to note is if the person sending you the red packet is not your friend your money(the one he sent via red envelope) will be gone. So add him as a friend. Yeah that’s my bad. I asked the hotel front desk to send me 1 yuan. So it deducted from her and didn’t show up on mine. Then added and sent another yuan. I suggest installing the chinese version of WeChat(not chinese language, but wexin version from baidu). That also let’s you use all the amazing functions. Red envelope and payment sending options will be available in your chat drawers. I can’t open it. it is asking me to have a bank card. Do I need to have a Bank of China account? Yes. You have to link a Chinese bank card to your WeChat. You can refer to this link. Hope it helps! Hi, in order to receive a red packet send my friend. Do I need to have China Mainland Hp no? My current we chat is international version & I’m using to own country HP no to register we chat account. As far as I know, you need to set your country to China and also link a Chinese mainland bank card to access WeChat Wallet and receive/send hongbao. Didn’t work at all on WeChat version 6.6.6 on my iPhone. Deleting and reinstalling the app made the Red Packet disappear. This is very disappointing as I will be traveling soon.